"Every year he rises from the pumpkin patch..."
When you want to see all the best holiday specials from the Peanuts gang, you should start with this film. 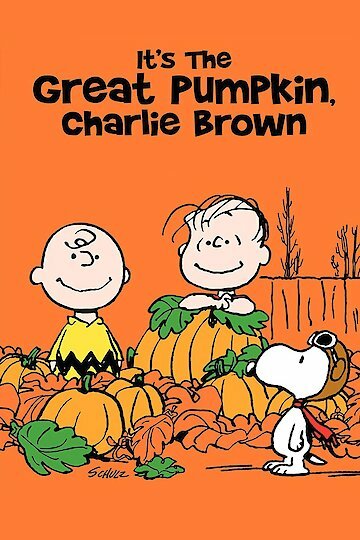 This is the Halloween special that Charlie Brown and his friends put together, and it is likely one you remember from your childhood. Share this film with your children so that they will know how wonderful the Peanuts gang is, and you will be able to see what the Great Pumpkin has to do with the spirit of Halloween. This is not a scary movie, but it is a movie that allows you to warm the cockles of your heart. It's the Great Pumpkin, Charlie Brown is currently available to watch and stream, buy on demand at Amazon, Vudu online. Peter Robbins, who was the voice of beloved character Charlie Brown, is accused of some not-so-adorable crimes against his ex-girlfriend and her plastic surgeon. Good grief. Besides "A Charlie Brown Christmas," the best Peanuts special ever conceived is unquestionably "It's the Great Pumpkin, Charlie Brown." For over 45 years, the film has been as synonymous with Halloween as sheet ghosts, trick or treating and vandalous teens smashing pumpkins. The special airs tonight at 8:00 p.m. EST on ABC.